Every ingredient we put into DrFormulas® Prostate Support is there for a reason. Each active ingredient used is backed by extensive medical research published in peer-reviewed medical journals. Double- blind studies ensure accuracy and validity. When we formulated DrFormulas® Prostate Support, we could have saved a couple bucks with lower quality ingredients. Doing so would have meant an inferior product for you, the consumer, but that is not our philosophy. We went with doses and quality ingredients that produce results. Pharmaceutical grade raw materials… ingredients extracted without hydrocarbon solvents, cGMP certification…. These sound like buzzwords to the average layman but to those in the industry, it represents a commitment to quality like no other. DrFormulas® Prostate Support is manufactured in an FDA inspected Good Manufacturing Practices (GMP) facility. It is a strict standard set by the FDA to make sure you’re getting the cleanest and purest product. 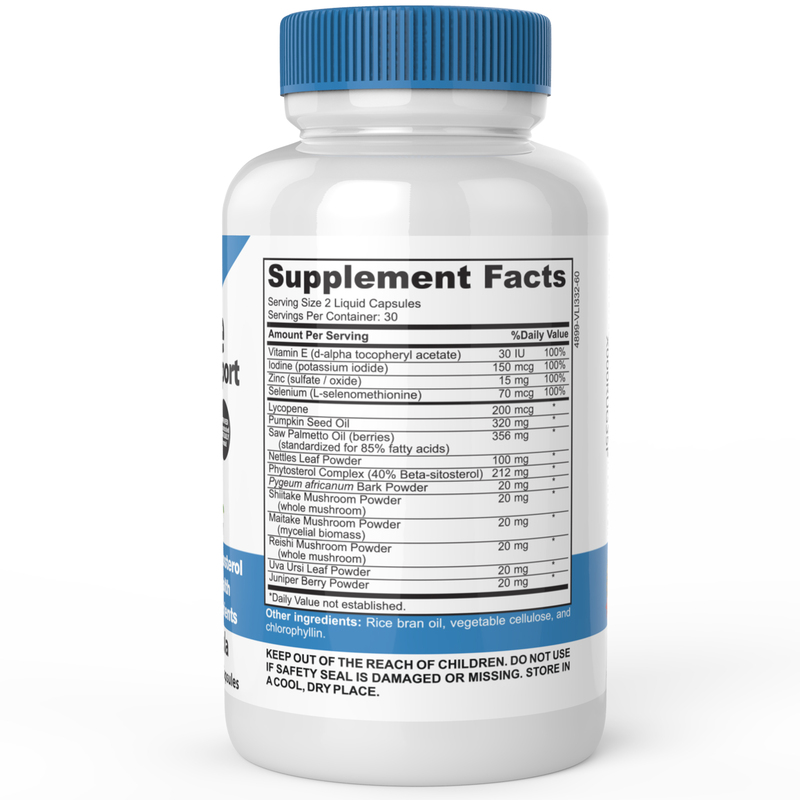 What Makes DrFormulas® Prostate Support a Better Supplement? Unlike our competitors, we use a high quality powders and extracts. This means that you only get the most effective dosage with our product. Most of our competitors use saw palmetto berries instead of extract. The problem with that is that when raw herbs are used you must ingest a lot more to get the amount necessary to be effective and you are ingesting more inactive plant matter. The strength of the active compounds in each plant can vary dramatically even for plants growing right next each other. Our ingredients are standardized to contain a certain percentage of each. 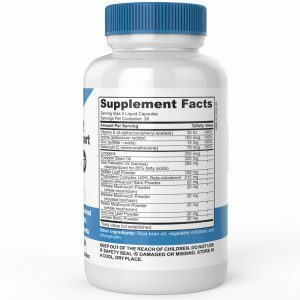 You can count on DrFormulas® Prostate Support to be effective and consistent.What does DrFormulas® Prostate Support Contain? Saw palmetto is extracted from the fruit of Serenoa rapens tree and is rich in fatty acids and phytosterols. These ingredients interact with 5-alpha-reductase to help balance DHT levels. Beta-sitosterol is a specific kind of phytosterol. It is prevalent throughout the plant kingdom and is in the foods such as pecans, avocados, pumpkin seed, cashew nuts, rice bran, wheat germ, corn, and soybeans. It is perfectly safe to eat. A recent study concluded that just taking saw palmetto and beta-sitosterol together reduced the symptoms of BPH. Lycopene is an antioxidant most commonly found in tomatoes and prevents damage to your body by free-radicals. It plays an important role in maintaining health and accounts for approximately 50% of all carotenoids in human serum. Pygeum africanum is a tree found in Africa. Its extracts from pygeum bark include beta-sitosterol, other plant sterols, triterpenes, and certain compounds known as ferulic acids. It aids in hormonal balance. Zinc is a trace mineral that is found in the body. It plays a vital part in many bodily processes and functions such as in cell reproduction, hormonal balance, proper absorption of vitamins, and in protein synthesis. required for proper hormone metabolism and are essential for hair growth. Vitamin B-6 also helps to body absorb the zinc. In laboratory studies stinging nettles has been compared to finasteride (a medication commonly prescribed for hair loss and BPH) which inhibits 5-alpha-reductase from turning testosterone into DHT. Promote circulation which helps to get rid of toxins. Contains phytosterols and has been shown to help balance DHT levels. © Copyright 2019 DrFormulas Prostate Support (Formerly Prostanew™). Education Zone by Rara Theme. Powered by WordPress.